Once you place your order we start to process it. We normally ship all orders next business day, however we can have up to a 3 working day processing time. For more information on delivery times, please visit our delivery times page here. We do not accept returns on e-liquid, electronic cigarettes, atomizers or tanks, mods or accessories. 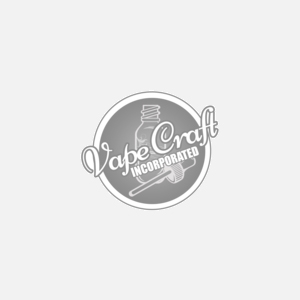 If you receive a item DOA (dead on arrival), damaged, or otherwise defective please contact us at support@vapecraftinc.com and we may accept your return. Returns are accepted on case by case basis. All orders must be placed via vapecraftinc.com. We do not accept phone orders for retail orders. Wholesale orders are placed over the phone by calling our wholesale department. We accept Visa, Mastercard, Discover, and American Express credit/debit cards. Pricing is listed on our product pages. Occassionaly we may have promotions on our website. This may delay shiping time. Orders can be viewed online by simply logging into your account at vapecraftinc.com. You will be emailed your tracking number for all orders shipped. You can contact us for more information on your order including tracking numbers. Contact us at support@vapecraftinc.com or call 760-295-7484.